Chagas disease is transmitted predominantly through contact with triatomine bugs. Insects typically hide in crevices of poorly-constructed homes in rural or suburban areas. Blood, organ transplant, and congenital transmission also occurs, and cases of oral transmission through ingestion of food infected by bugs have recently been documented. Symptoms in the acute phase of disease resolve spontaneously in most individuals. Over a course of decades, about 20–30% of patients will develop clinically apparent chronic disease, in its cardiac and digestive forms, with potentially life-threatening complications. Until recently Chagas disease was confined to the Americas, principally Latin America, but over the years it has spread to North America and Europe due to population flows. The distribution and impact of the disease varies from country to country. 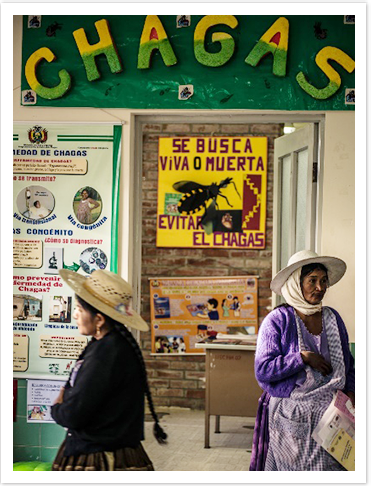 Take two examples: in Bolivia, it is likely that a significant proportion of the population is affected by Chagas disease with an estimated prevalence around 6% among 10 million inhabitants, but with areas in the country with prevalence in adult population of up to 60% . In Brazil, 0.03% of the population is infected among almost 200 million, people, consequently the actual numbers affected are huge. With such degree of variation and given the frequently asymptomatic nature of the chronic form of the disease, it is difficult to assess more accurately the number of people affected without well-designed sero-epidemiological surveys. Today, one of the most important areas of work in Chagas disease is access to existing treatment and diagnosis. Most patients with Chagas disease are asymptomatic and just a very small fraction of those affected are being detected and treated. The numbers are staggering, with estimates of less than 1% of Chagas disease patients receiving treatment1 with current options; benznidazole or nifurtimox. Several factors are involved, but there is a clear need for concerted multi-disciplinary action to change the current situation. Despite growing evidence of drug efficacy and the different operational approaches employed, no medical or operational consensus has been reached in many endemic countries. While it is necessary and imperative to ensure registration of existing drugs against Chagas disease in all endemic countries it is critical to evaluate which delivery-operational models have the greatest local impact. DNDi, together with the Ministries of Health and key partners, will initiate a series of initial pilot projects in Colombia, Mexico and the United States which aim to assess the impact of scaling up diagnosis and treatment, with integration into local health systems. Different delivery models will be evaluated and defined with local stakeholders, from governments to academia and civil society, and are expected to be sustainable and replicable in similar contexts. 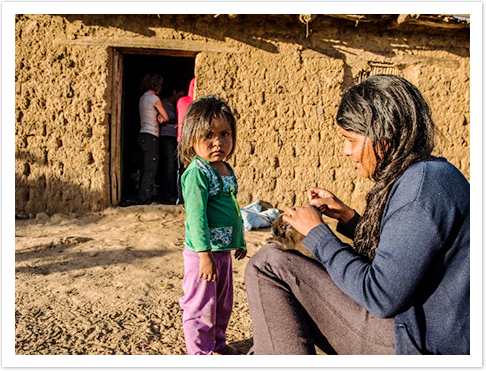 DNDi, as part of the Global Chagas Coalition and with other partners, advocates strongly for increased access to diagnosis and to treatment across all age groups, but notably infants, young children and non-pregnant women of child-bearing age. Recent data has generated robust evidence that treating the latter prevents transmission of Chagas disease during pregnancy, and is therefore an important disease control strategy. There is also a need for international registries to support surveillance of diagnosis and treatment of chronic cases, pharmacovigilance, and long-term follow-up for a better understanding of treatment and clinical outcomes, Chagas epidemiology and distribution. 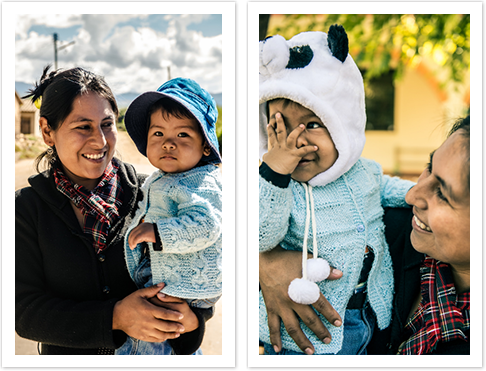 A young mother, Maria was diagnosed with Chagas disease three years ago. Her baby was born with Chagas and　both　started　treatment. Exams　from　the　baby　showed　that　treatment　with　benznidazole　was a success. He is now free of Chagas disease. Treatment in children has an efficacy rate about 90% and children have a much better tolerability than adults. In 2010, DNDi and partners delivered a paediatric formulation of benznidazole, making treatment easier for children. Current treatments, benznidazole and nifurtimox, are effective against the acute and chronic phase of infection. Broad use of these drugs has been limited due to lack of guidelines and policies supporting implementation. Drawbacks include long treatment periods (60-90 days), dose-dependent toxicity, and a high drop-out rate of patients (17-20% or 2 among 10) due to side-effects. There is currently no approved treatment for the chronic form of the disease with target organ involvement.